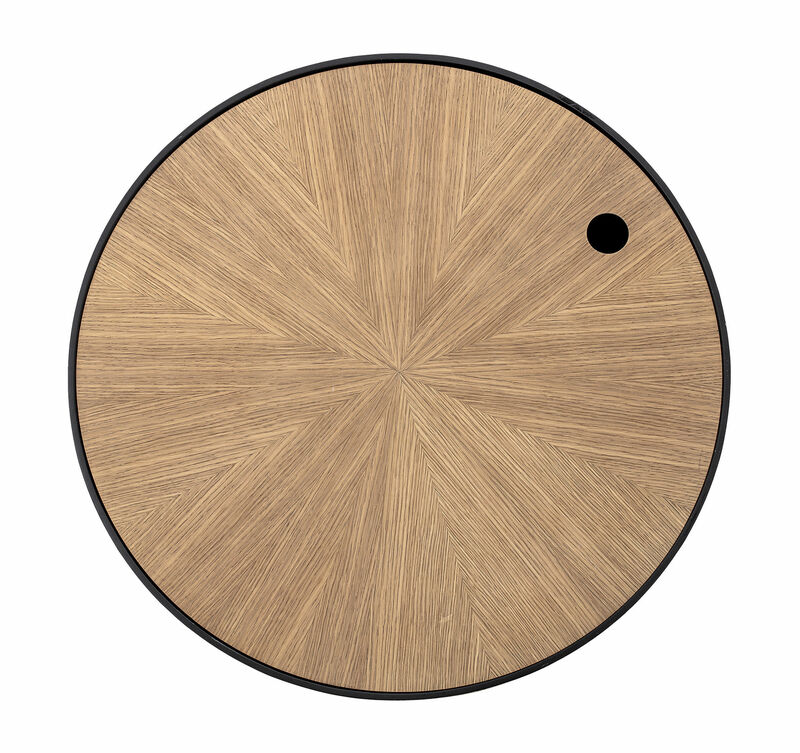 An inimitable design for this Ronda coffee table which combines graphical and rounded lines. 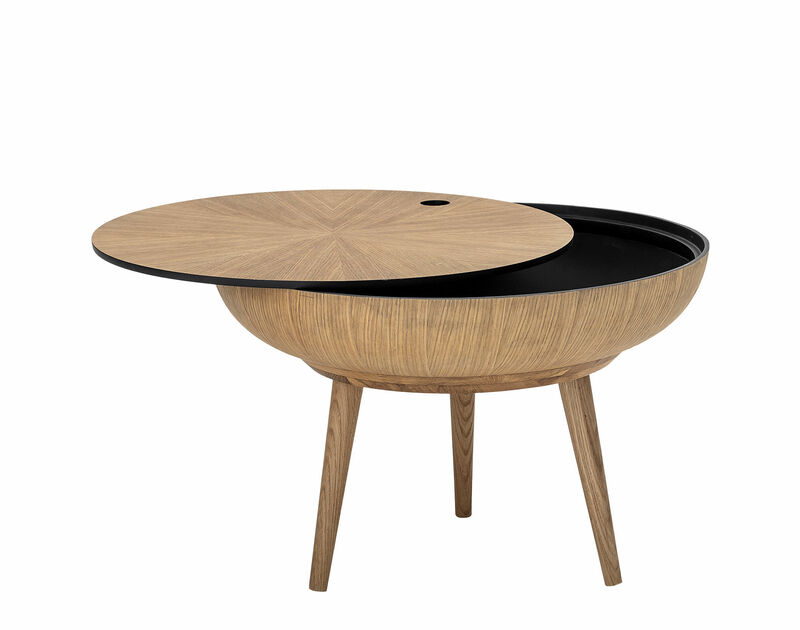 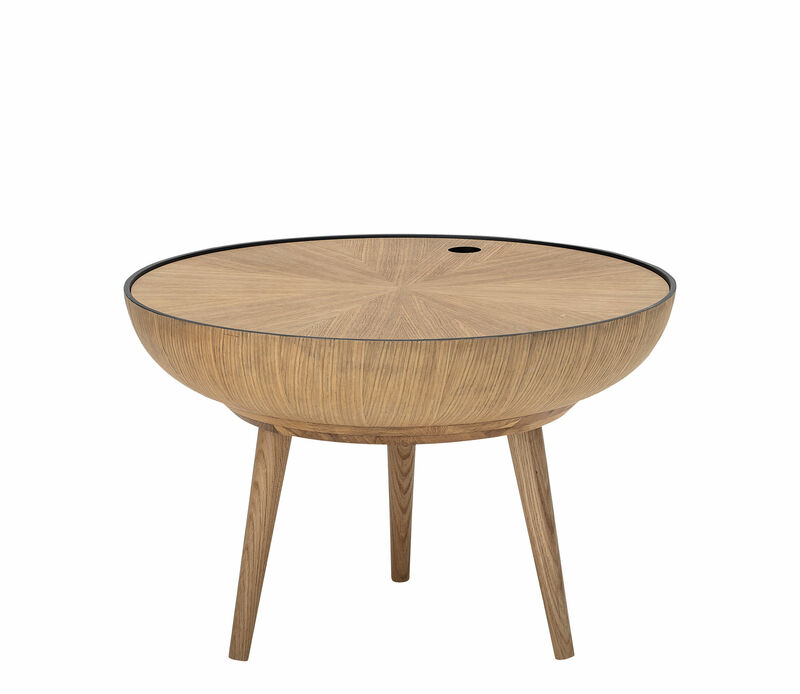 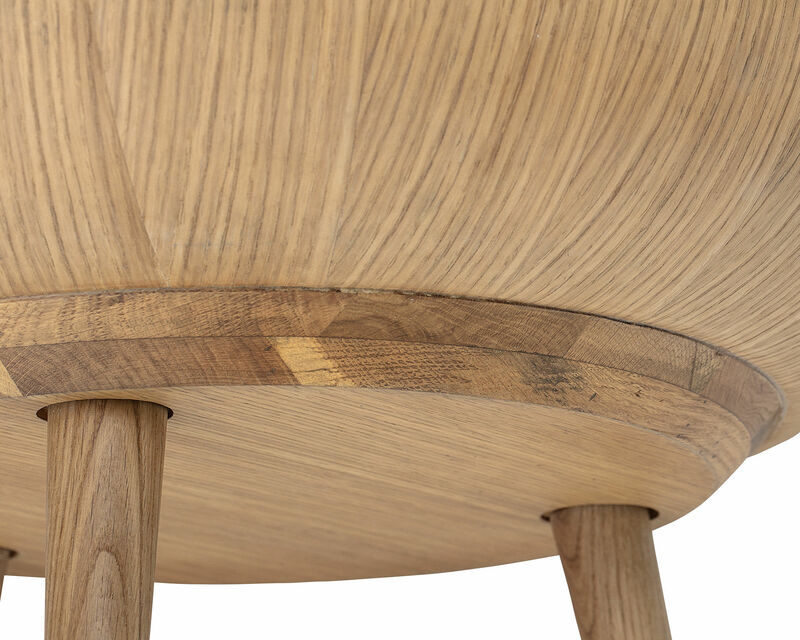 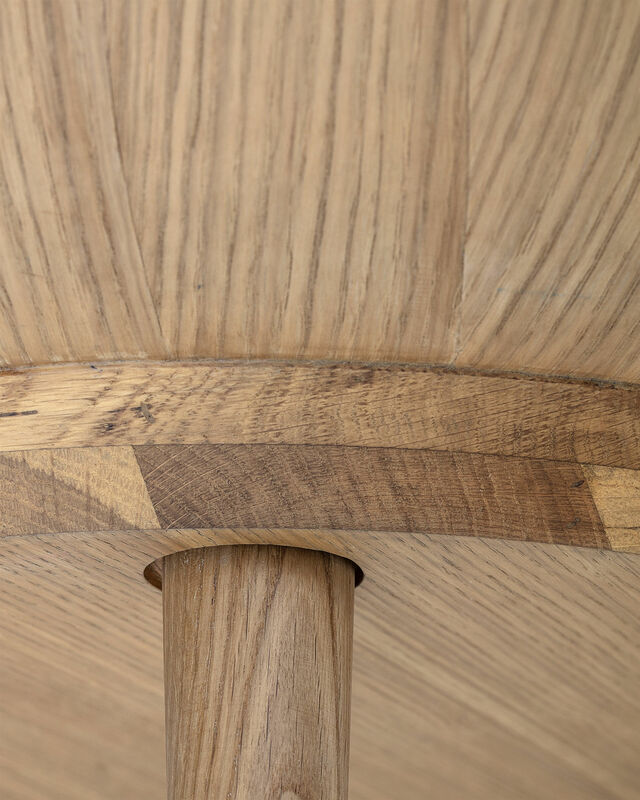 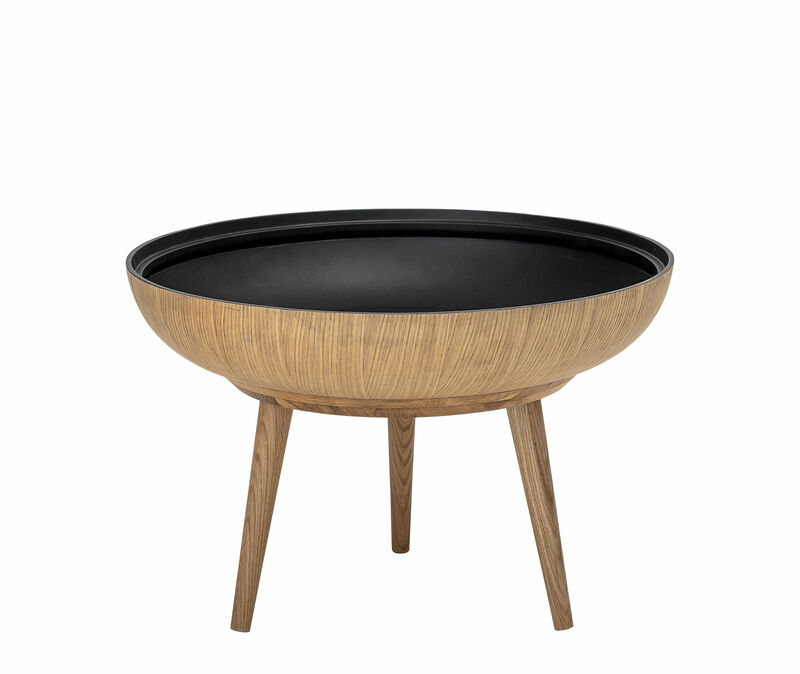 Made completely of oak, it consists of a tripod base and a wonderful, round, removable, raised top. 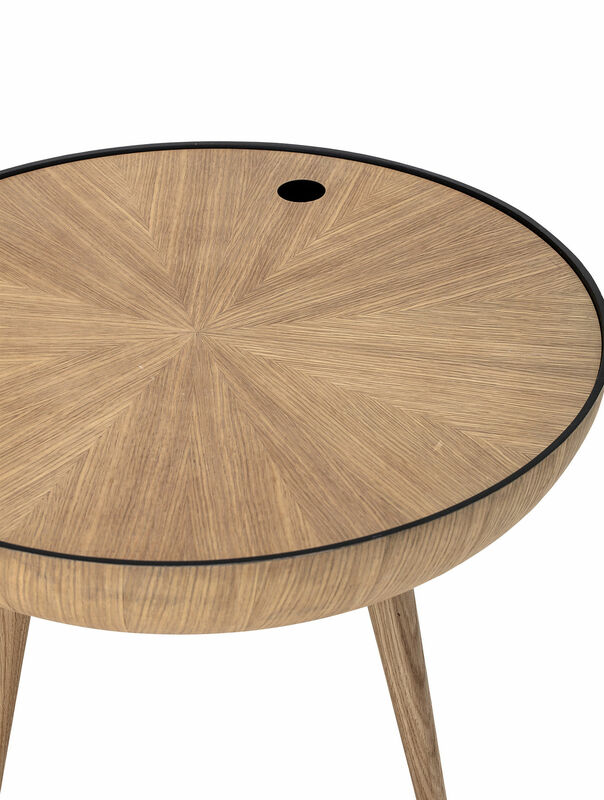 This very practical removable top lets you easily store your small daily items inside the table: books, magazines, remotes, snacks, etc. 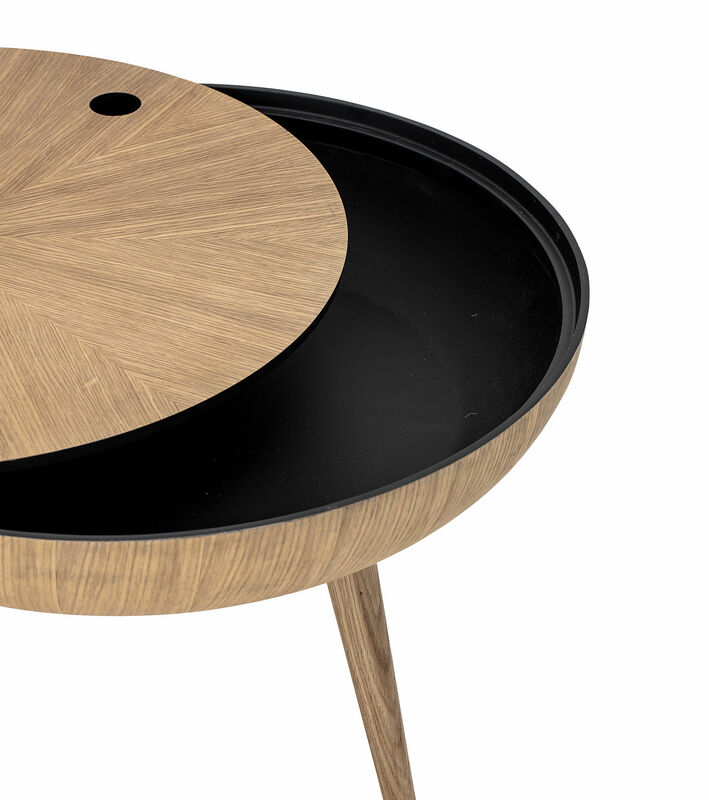 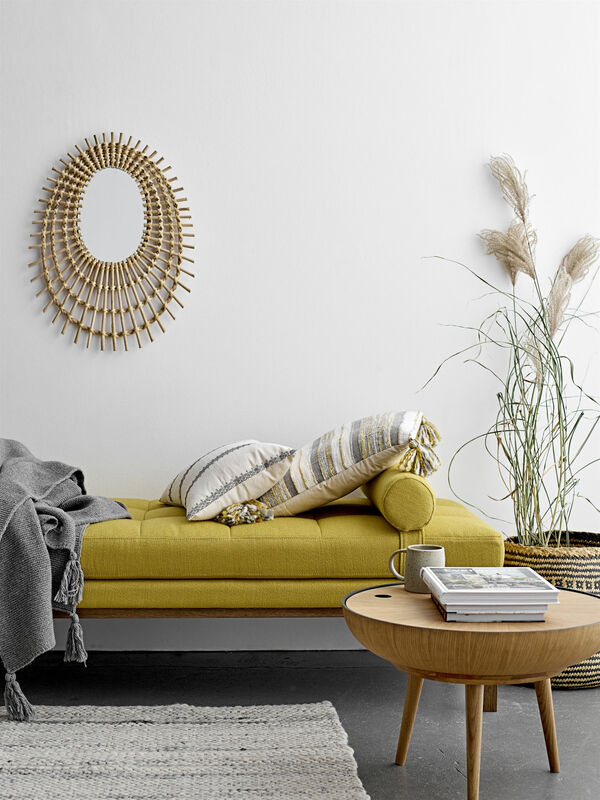 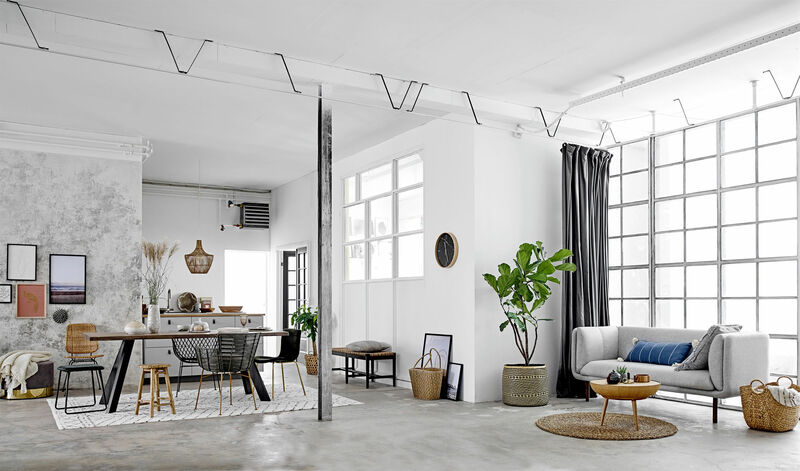 Whether you use it as a coffee table, a side table or even a bedside table, Ronda will win you over with its practical features as well as its welcoming and elegant look.